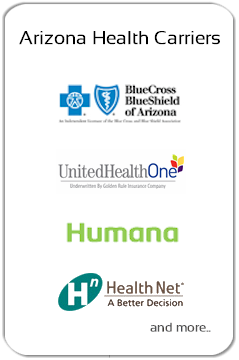 We are here to help you meet your Arizona health insurance needs. We want to help you find the most affordable plan with the richest benefits. Navigating the current insurance landscape is not an easy matter. There is a wide variety of plans to choose from, and the insurance terminology can be confusing. Particulary under the Affordable Care Act (Obamacare), the health insurance landscape is changing rapidly. You need an insurance professional to act as your navigator, and that's what we are here for. These plans will be one of four types: PPOs (preferred provider organizations), generally the most popular plan; HSAs (health saving accounts), plans that have a savings account attached to an insurance plan; Medicare supplement plans for those 65 and over; and HMOs (health maintenance organizations) which have a very limited number of plans and appeal. If you have any questions about the plan information we've sent you, we'll be glad to answer them by phone or e-mail. And if you look at the plans we've sent and find none of them will work for you, we'll go back and look again. Just provide us with some guidance-the annual deductible you can handle, and the monthly premium you would feel comfortable with-and we will do our best to match the two. 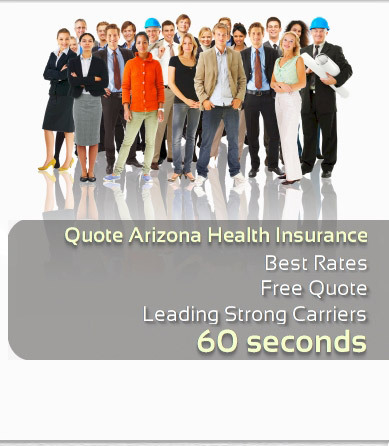 The easiest way to get coverage is apply on line, and we offer this service through our website, arizonaplans.com, or through the link we sent you in the e-mail. Sometimes the application process can get a little confusing, so if any questions come up about the application itself, contact us and we'll help you answer them. Once the application is in the system, we will track it with the insurance company until a decision has been made. If a problem comes up in underwriting, we'll try to find out why (although we must be listed on the "Release of Confidential Information" section of the application to interface the carrier about specific medical information). Once you've been approved, we will follow up and make sure you get your insurance ID card and policy documents. Our long-term goal is to make your experience in getting health insurance for yourself and your family as painless as possible. We know you want to find the best plan, but also one that you can afford, and once it is in place, move on to more pleasurable things. We will certainly help you during the initial period, but we are here to help you long-term as well. If anything comes up down the road, don't hesitate to contact us.